You’re almost there. Retirement is right around the corner. The question is, are you ready? Now that you’ve reached this exciting stage, you’re looking to reduce risk and secure your savings through safe investment options. 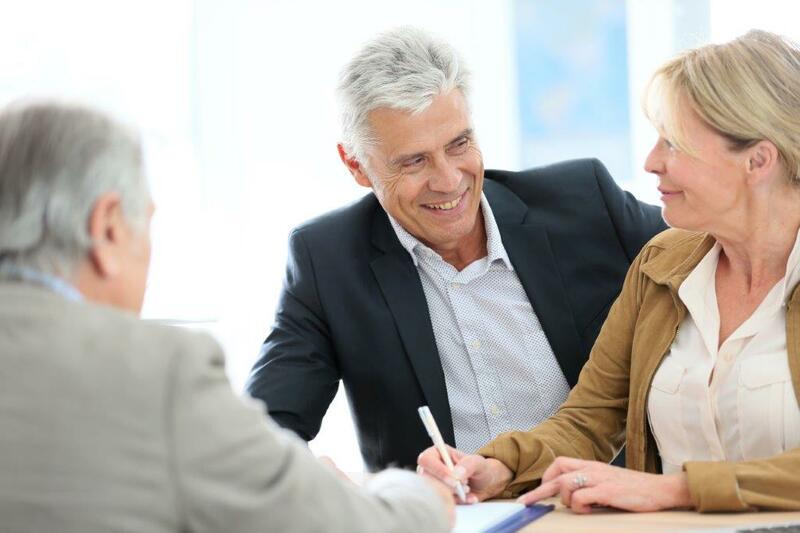 Tax-favored retirement accounts, high-yield savings, and cash management programs insuring high-dollar deposits are great ways to build and insure your investments. At this point, you’ve likely contributed to your company’s 401(k) plan for years. If you started young and followed the typical recommendation of 10% to 15% of your income, you’ve probably put together a nice nest egg. However, you may not be quite on track for your dream retirement. In this case, continue maxing out your company’s 401(k) to receive the full match. As a 50+-year-old employee, you are eligible for additional contributions. The ceiling for what you can invest in these accounts increases. This gives you a fantastic opportunity to “catch up” on your goal by tightening your budget and throwing more at retirement now so you can live it up later. The IRS permits individuals 50 or older to make catch-up contributions up to $6,000 in their 401(k) plans. Another tax-friendly retirement account is the IRA (Individual Retirement Arrangement). Like a 401(k), you can choose from Roth or Tradition options to optimize savings based on your current and expected income. This is a great option for self-employed workers as well as those looking to supplement their 401(k) and diversify their portfolio. After 50, you can make catch-up contributions up to $1,000 in your IRA. Texas Citizens Bank offers an attractive interest-bearing IRA Savings account based on daily collected balance. Interest rates for this account increased late June. To those with high savings account balances wanting to maintain regular access to their money, consider a Money Market account. A Money Market is a form of savings account that typically offers higher interest rates than traditional savings. Texas Citizens Bank caters to several different balance tiers with two Money Market accounts, Premier and standard. Rates for both recently increased. Good things come to those who wait. Those who have waited patiently for CD (Certificate of Deposit) rates to go up have gotten their wish. Now is the perfect time to invest funds you don’t need now in short- and long-term CDs. The low-risk, high-yield payoff is more than worth the wait. While many banks have been slow to bump their rates after the Fed raised rates earlier this year, Texas Citizens Bank increased rates significantly for all currently available, fixed-rate CD accounts. CDARS (Certificate of Deposit Account Registry Service) and ICS (Insured Cash Sweep) help manage and protect high-dollar balances. Both services divide your deposit into amounts under $250,000 for full FDIC coverage. ICS places the funds in deposit accounts while CDARS invests the funds in CDs. Through CDARS and ICS, Texas Citizens Bank can provide combined FDIC insurance coverage up to $135 million. Now that you better understand your retirement savings options, you’re ready to start saving now so you can sail into the sunset later.